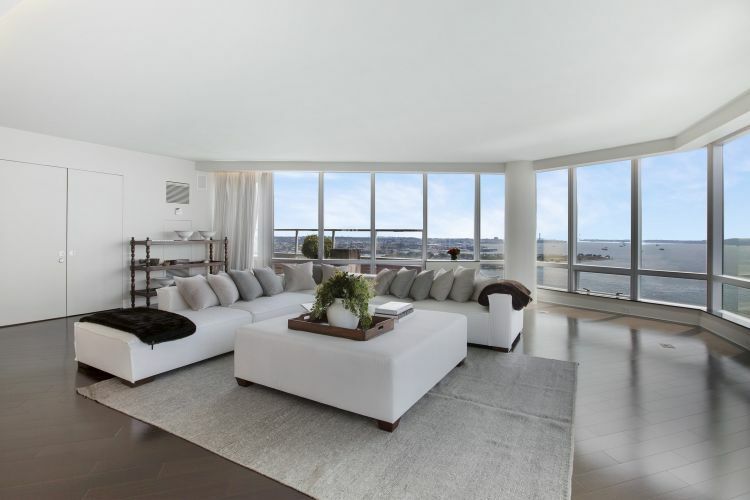 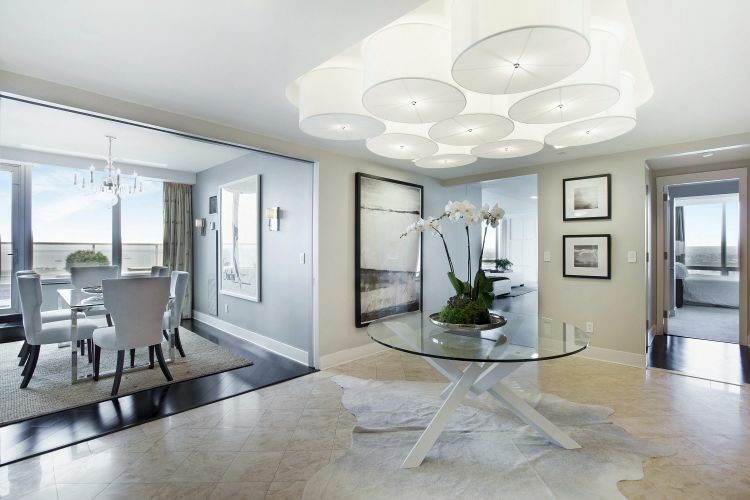 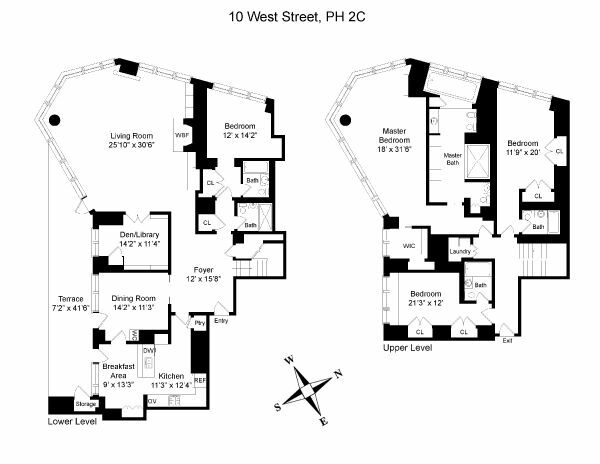 This one-of-a-kind Luxury Duplex Penthouse Residence, located on the top two levels, of the famed Ritz-Carlton in Battery Park City, offers all the white-glove amenities of a five-star hotel, including 24-hour concierge, room service, fitness center and spa, housekeeping and valet parking. 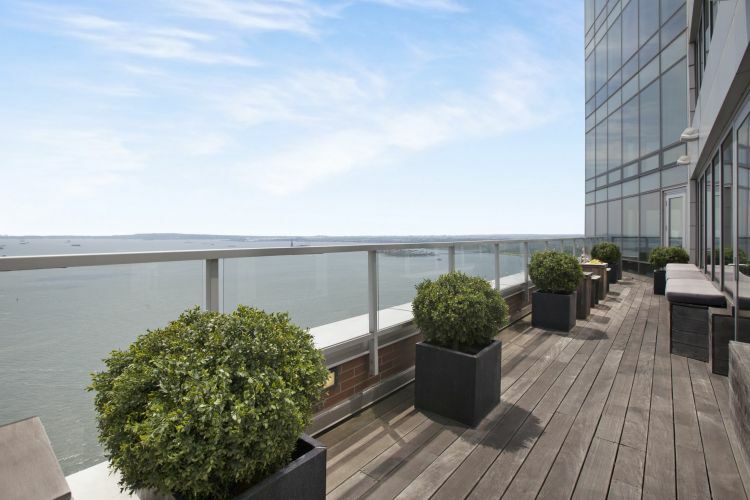 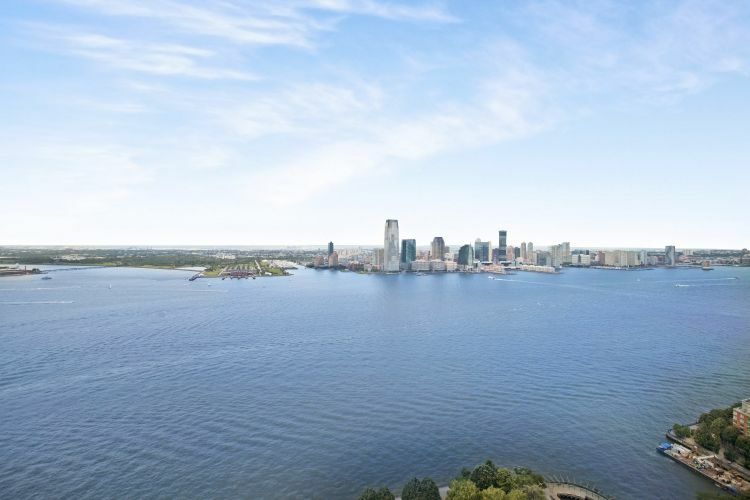 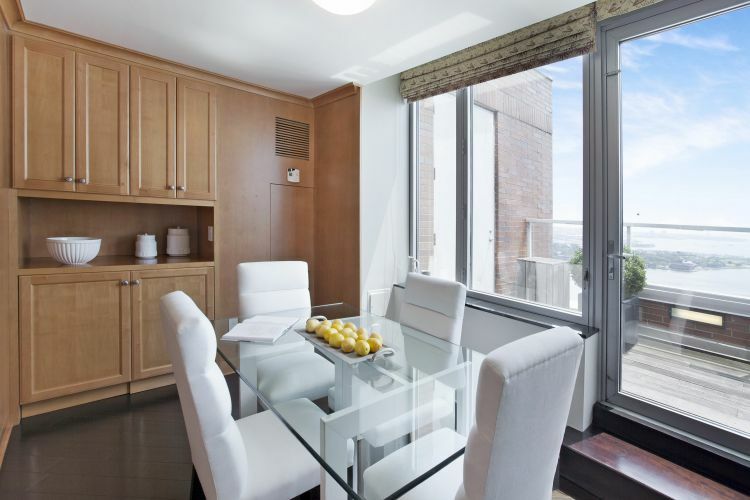 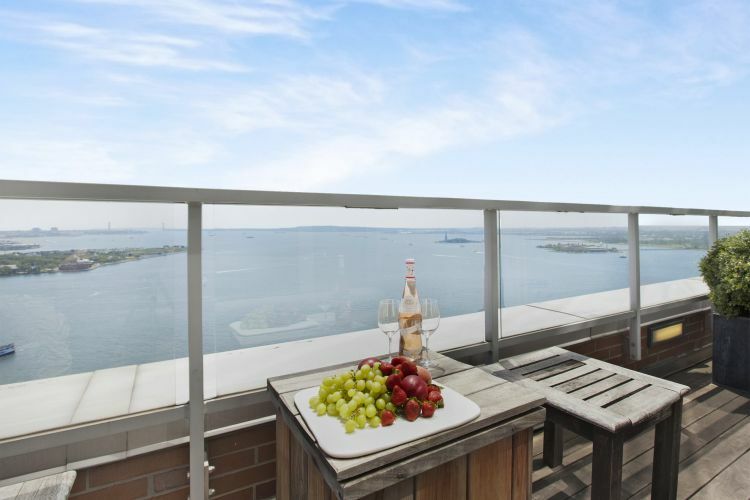 This sun-drenched four-bedroom, five-full-bath home features panoramic sweeping views of New York Harbor, the Statue of Liberty, and beyond. 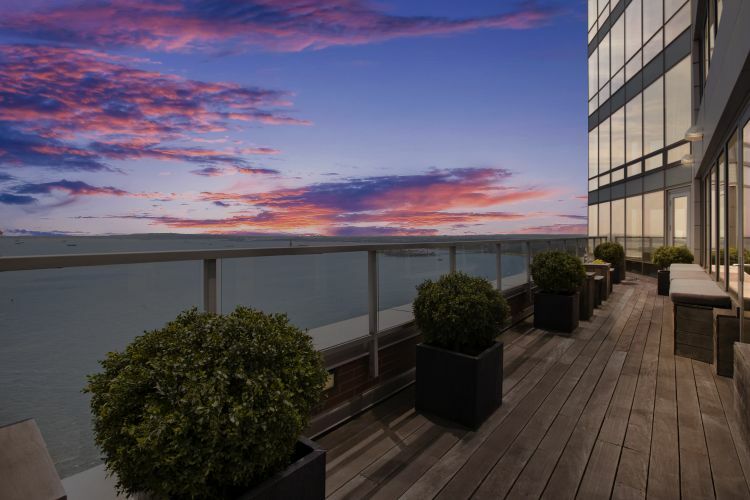 Walls of floor-to-ceiling glass windows maximize the dramatic vistas of the sun-reflected water and sailboats in the harbor. 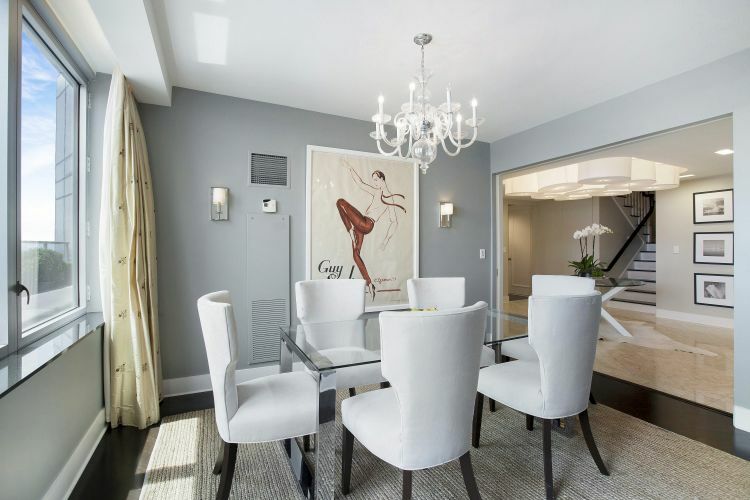 The main level of this spectacular duplex includes an opulent marble gallery, a palatial corner living room with a wood-burning fireplace, a formal dining room, an office library, and a windowed eat-in kitchen. 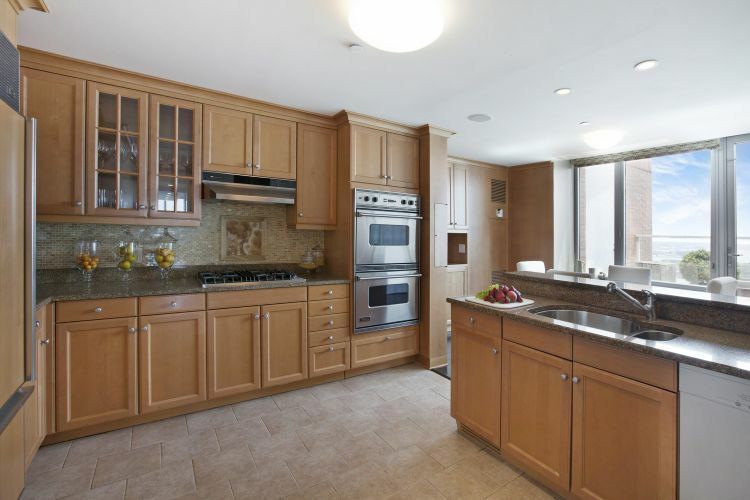 The pristine chef's kitchen features natural stone counter tops and top of the line appliances from Viking, Miele, Subzero and Scotsman. 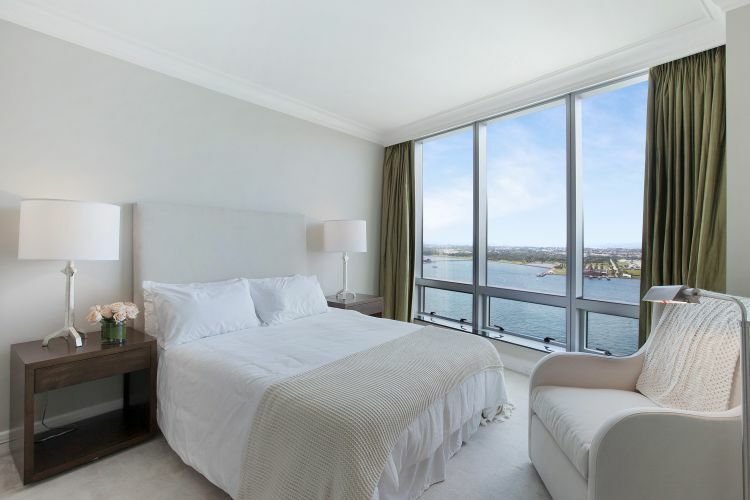 A guest bedroom, conveniently located off the main entertainment area, features an en-suite bathroom and spectacular sunset views. 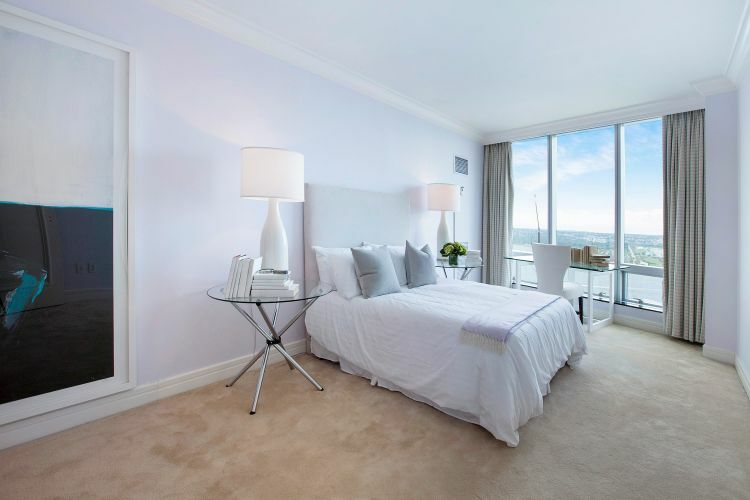 An elegant stairway seamlessly connects the main floor with the private upper level and the luxuriously appointed master bedroom. 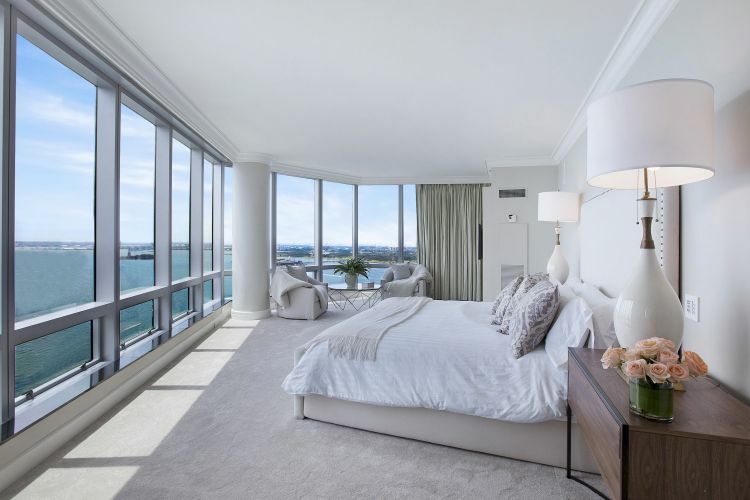 This dramatic sleeping nest is wrapped in floor-to ceiling glass windows and offers a lovely and relaxing spa-like retreat from busy city life. 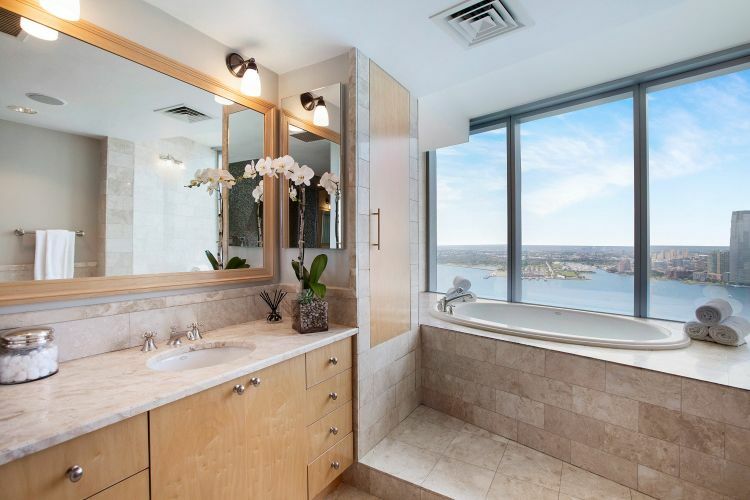 The spacious en-suite marble master bathroom features double sinks, an oversized steam shower, a deep soaking bathtub overlooking the Hudson River and ample built-in closet space. 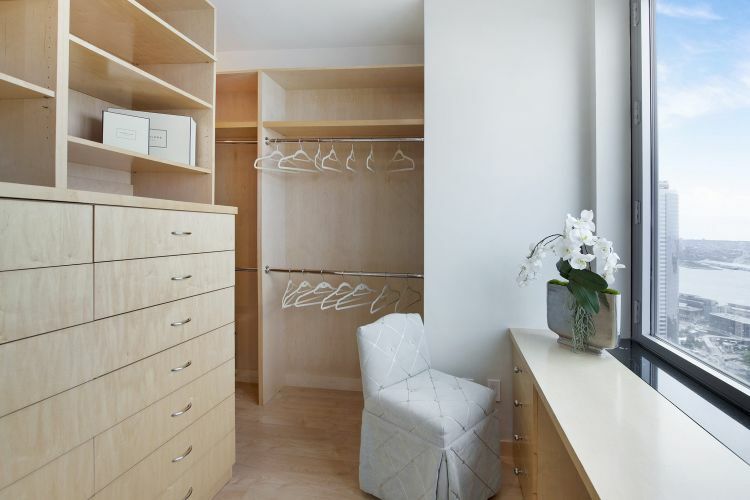 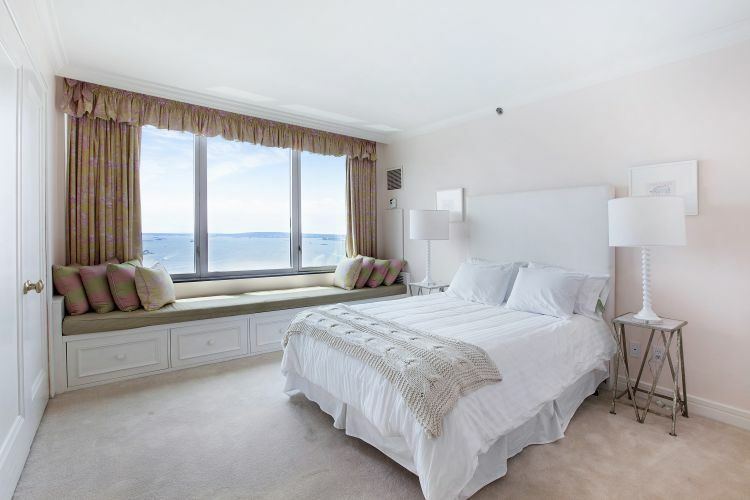 There are two additional bedroom suites on this level, each with en-suite bathrooms and stunning views of the harbor. 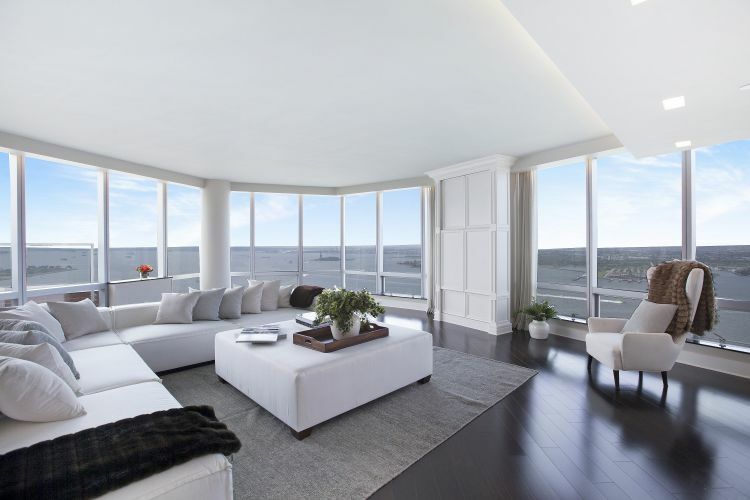 Individually controlled thermostats, a customized Niles music system and a fully-integrated Lutron lighting system control temperature and ambiance. 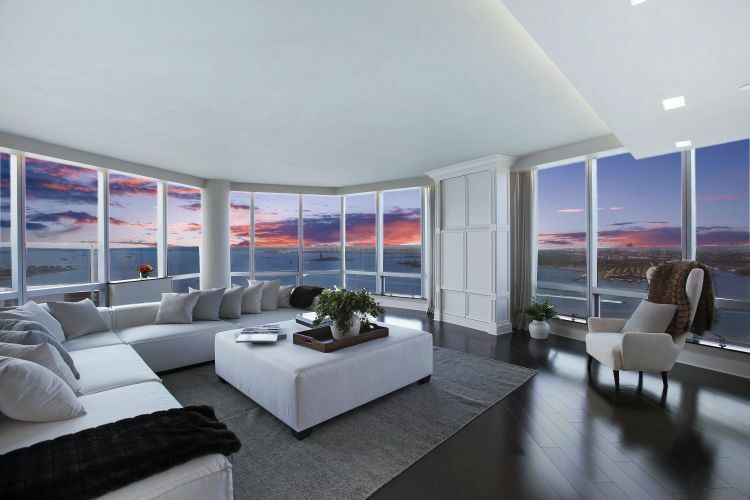 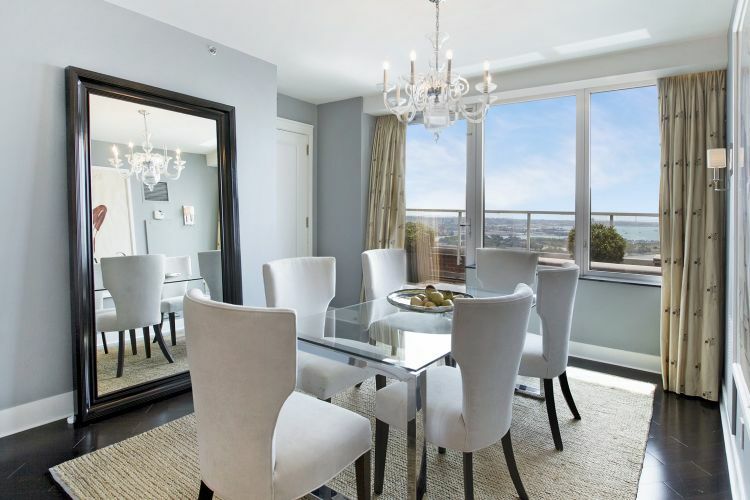 Complimenting the interior space of this magnificent Penthouse home is an amazing 400 square-foot private terrace, easily accessible from living room, dining room and kitchen and perfect for outdoor dining, entertaining guests, or simply enjoying glass of wine at sunset in peace and solitude.